Block floors made from 15-22mm wood with a tongue and groove, fitted mainly with bitumen up until around 1970. Traditionally laid in a herringbone design with a 2 block border. Oak & Pitch pine where popular 1900-1960s in larger properties. 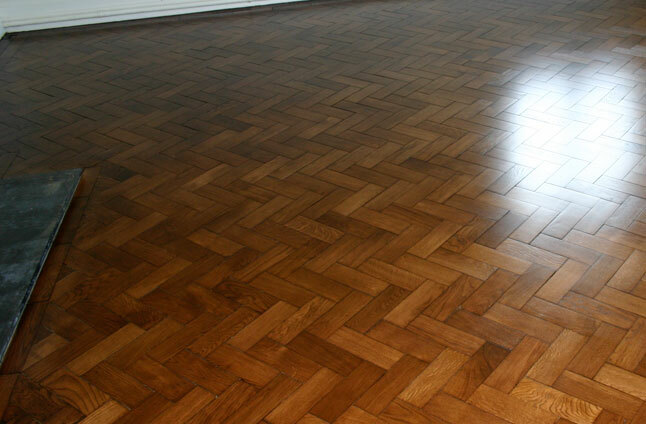 Sapele herringbone floors where particularly popular around 1960-70, Block flooring is most suitable for solid floors i.e. concrete, which would most likely to be on the ground floor of the house like the hall and living space.